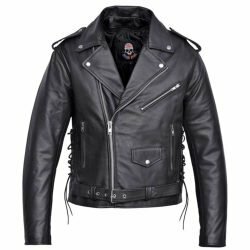 This jacket is a thing of beauty! 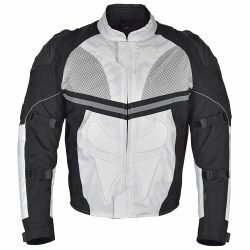 Natural cow leather is accented with silver color hardware and all the features you need for the ride. This Motorcycle Leather Jacket looks great on or off the bike. Generous American fit for enough room to layer up underneath. 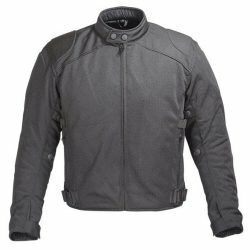 This jacket is made from the best natural cowhide and comes with a lifetime leather warranty. PLEASE MAKE SURE YOU MEASURE YOURSELF UP AND READ THE SIZING CHART BEFORE YOU ORDER. 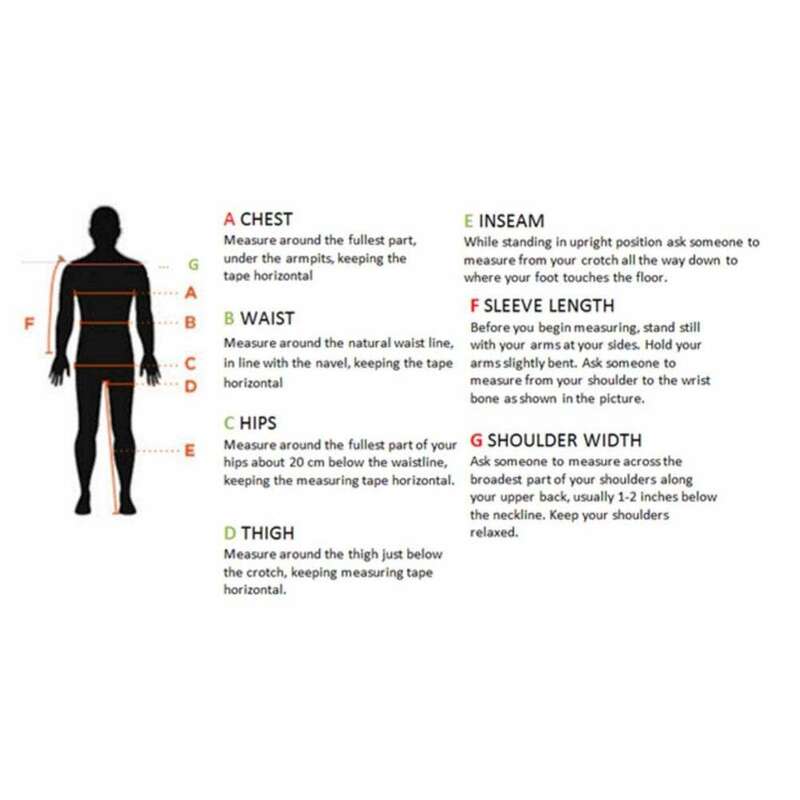 FOR SMALL, MEDIUM AND LARGE SIZES, IF YOUR CHEST MEASUREMENT FALLS ON BORDERLINE BETWEEN TWO SIZES GO FOR THE LARGER SIZE. This jacket is a thing of beauty! Full Grain leather is accented with silver color hardware and all the features you need for the ride. 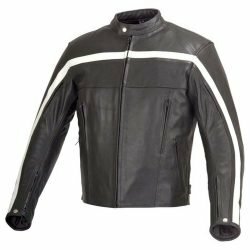 This Motorcycle Leather Jacket looks great on or off the bike. Generous American fit for enough room to layer up underneath. 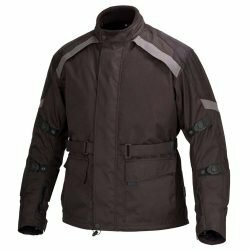 This jacket is made from the best Full Grain cowhide and comes with a lifetime leather warranty. The double-breasted front with asymmetrical zipper is the basic and timeless style with comfortable fit. Adjustable front waist belt for added style and fitment. 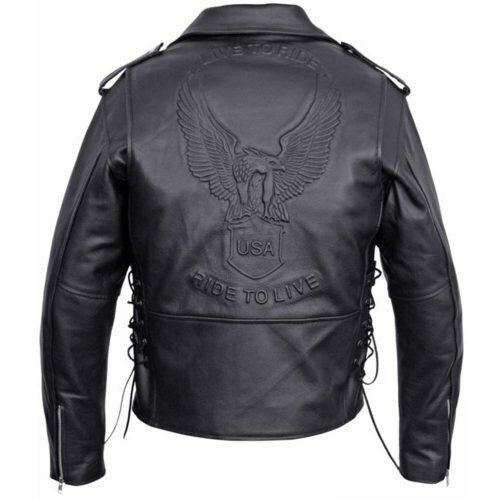 Back has embossed US Eagle, Live To Ride and Ride To Live. This Leather Motorcycle Jacket has notch collar with large silver color metal snaps. Two snap shoulder epaulets add to classic looks. This Motorcycle Leather Jacket is constructed from 1.1-1.2mm thick Full Grain cowhide. The premium quality thick leather construction ensures optimum protection, durability and comfort. 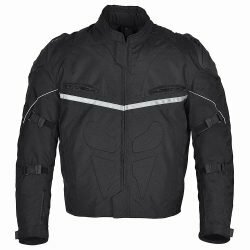 Fully removable (zip-out) full sleeve thermal quilted liner for retaining body heat during cold rides. 100% Polyester fixed mesh interior lining. This Motorcycle Leather Jacket has side laces that allow adjustment around upper waist area. The bi-swing back features gusseted shoulders for freedom of movement and comfort.